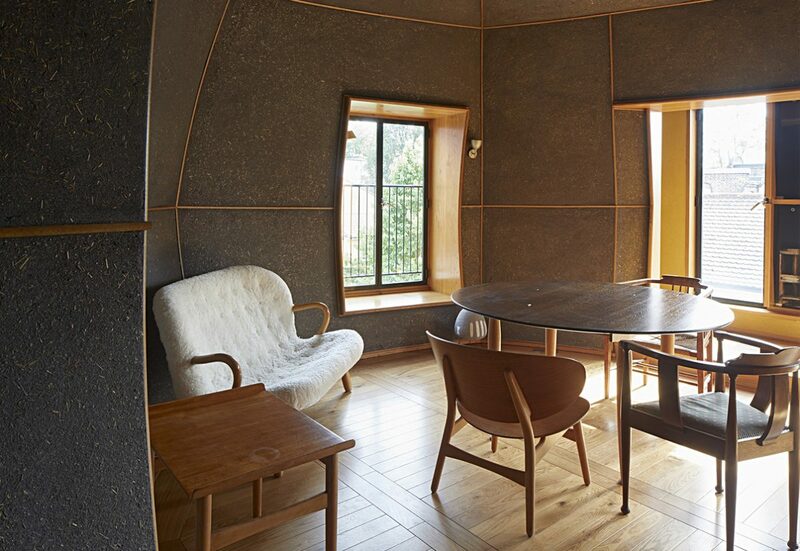 Charcoal coloured clay plasters with straw, designed to resemble ancient Japanese Arakabe techniques, are among the inspired and unpredictable mix of materials in the highly acclaimed Walmer Yard residential development, designed by Peter Salter and Fenella Collingridge. Delicate and nuanced, everything softened by shadows and the unique patina of unfired, raw earth plasters, the effect is significant. The aesthetic has a markedly different perspective to those we are more accustomed to in our modern cities. With a strong presence of wood as well, Walmer Yard celebrates Japanese design traditions juxtaposed with contemporary architectural influences from the West resulting in the tranquillity of raw clay and timber opposing the intensity of concrete, metal and glass. 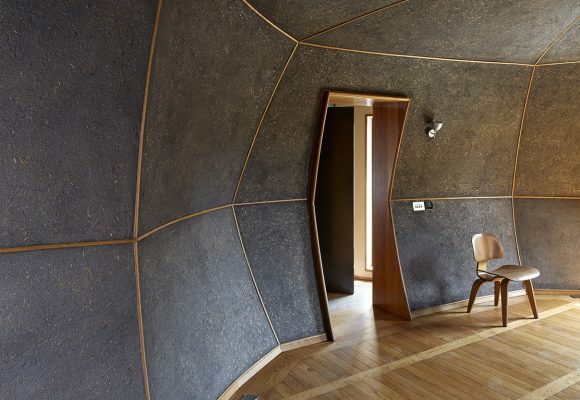 Whereas many of the materials in the building reflect the light, the clay plasters absorb and diffuse it demonstrating how the Japanese preference for organic materials, for light and dark, for shadows, raw nature and tranquillity can result in the ultimate beauty of a near empty space defined only by materials and architecture. As the light changes through the day from abundance to scarcity, the dark walls, wiit their curves and dome shapes, take on changing forms of beauty, where the magic of shadows and darkness and also colour, may be celebrated and experienced in different ways. Timber and clay are abundant all over Japan, and have been two essential building materials for traditional Japanese houses since the 17th century. 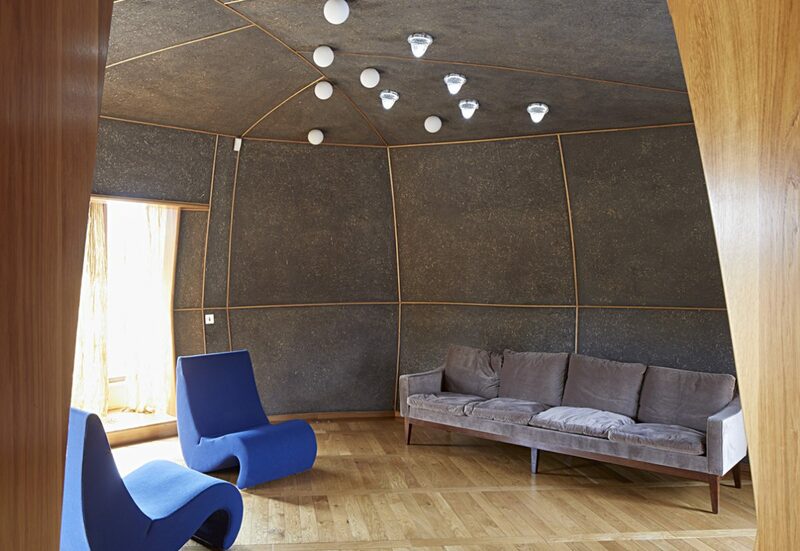 The texture of a wall, the colour of a wall, the material on a wall, the seasons and the time of day will all effect the sensorial experience of a room and Salter was very specific about the clay plasters, specifying for example, a custom earth colour with 30% more natural pigment than usual. For more images please see our gallery feature. Clay Plastering: Guy Valentine and Shaw Building Group.